The Reuben Singh Trust has been established by the Reuben Singh Family Office to focus on the charitable causes close to the heart of the family. The Trust is the chosen alternative for the Family to setting up a charity themselves and allows for all the philanthropy to be controlled in a professional manner with consistency and focus. At the heart of the trust is the core focus on children and the younger generations of today’s society predominantly here in Britain. The trust believes that the charitable activities should be in the local communities close to the Singh family and close to the businesses in which the family is a stake holder. 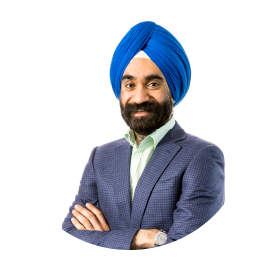 The Trust also draws on knowledge and resources of both the Reuben Singh Family Office and all the Companies of which the Singh Family are stake holders. The Trust also has access to the Executives within all these Companies that commit to giving up their time to advise and participate in the Trust Activities. The trusts primary focus is to work with charities and charitable causes that focus on working with children. Causes that work with child health & welfare causes and those that seek to better the lives of children in Britain and Overseas. In addition to children’s health & welfare the Trust has a directive to work on charitable causes and activities that focus on or raise awareness of Ovarian Cancer. A disease which is close to the heart of the Singh Family sadly having lost a member of the family to the fight several years ago. In recent years the Singh Family have successfully been involved in several charitable causes and activities that have helped the lives of many thousands of children and in particular those that have raised money & awareness for child health and disability. The trust reviews all opportunities presented to it through its direct and indirect network of charities and charitable causes. The trust understands, investigates and reports on all opportunities to the Singh Family Office who then evaluate the proposals before recommending and presenting these to the Family. With an understandable limited resource to funds the Trust & the Family Office have specific criteria to follow but are requested to review each opportunity on an individual basis. In some cases the process can be accelerated but generally the Trust follows a well planned and structured quarterly programme working, at times, with the companies in which the Family are stakeholders. The Trust requests all charities, charitable causes and fund raisers to put forward any proposals and information for review. It is pledged to give each opportunity a properly considered report to the Family Office. “Charity is something that should generally be kept personal, but sometimes certain causes need to be promoted to generate more awareness of the charity and their core issues. Working with my own companies and those within my network of 5,000 or so contacts, I’m always more than willing to get involved in helping to raise funds and awareness for charities, charitable events, and other causes. As a proud British Sikh, I find that charities that are focused on helping people in our British society are easier for me to relate to. They say charity begins at home, and home for me is our society here in Britain. With finite resources it’s sometimes difficult to get involved in everything that is presented to me and therefore sometimes unfortunately one has to be selective. But, fortunately, with a large network of contacts there is always someone somewhere who will surely be willing and able to get involved in the cause if I can’t. A British entrepreneur, I am the Founder of alldayPA, the UK’s largest 24-hr call answering services provider and the CEO of Isher Capital, a boutique private equity fund. Welcome to my Trust website. At the age of 19, I founded Miss Attitude, a fashion accessories retail chain using the £4,000 I had saved. My first store was in a tiny kiosk in the Arndale Centre in Manchester. It was a great idea: sell girls accessories and make-up together in one shop. Today, many successful stores use this business model, but at the time it was a unique and unusual idea. The chain grew rapidly and by 1999, there was a chain of Miss Attitude stores across the UK. I sold the company and founded alldayPA. It was a great success very quickly. It filled a gap in the market for high-quality UK-based call handling and telephone answering services. Within two years, alldayPA had signed deals with T-Mobile and MBNA. In 2002 Forbes Magazine valued alldayPA at more than £90m and later at over $150m by a private equity fund. At age 25, I was grateful to be called the ‘British Bill Gates’ by The Sunday Times and have my net worth estimated to be £80 million by the Mail on Sunday’s Rich Report. I was invited by Prime Minister Tony Blair to serve on a Government Advisory Panel and a Government Task Force. I was also a Founding Member of Government’s Small Business Council and appointed by the Prime Minister’s Government as an Ambassador for Entrepreneurship. For three years running I won the Entrepreneur of The Year Award and in 2002 I was named Asian Entrepreneur of the Year at a ceremony attended by Prince Charles. I was honoured by HM The Queen at Buckingham Palace and honoured by the World Economic Forum at Davos as a Global Leader of Tomorrow. MIT Boston Technology Review Magazine gave me their Innovator Accolade and I had my portrait hung in the National Portrait Gallery in London. Please fill in the form or call us on the below number.